Do you want your site higher up in Google search listings? If the answer is yes, then there are some simple things you can do for free that can help you on your way. Listed below are my top tips to get you started on your journey.Remember, getting higher in Google search means making more money online. Google are now looking at a site’s loading speed when deciding how best to rank a site. Make sure your site loads snappily to ensure you are not being unnecessarily penalised for something that is easily fixed. Now more than ever Google are focusing on original content, not only original in words, but also ideas. A great way to add more content to your website is to integrate a blog into your site. The benefits are two-fold. 1)Google like to see a page which is regularly updated. Each new post you add to your blog keeps your website refreshed and up to date. Even if you only update your blog once a month it will help wonders. 2) Blogging about the specific services you offer will increase your site’s keyword density for a particular phrase and should help you become more relevant, a rank better, for your keywords. Google are clever, really clever. One thing they look at when deciding where to put you in their search engine listings is your site’s bounce rates. If you’re a pizza shop, and someone searches for ‘Pizza’, clicks on your site, and then immediately click away from your site, (bouncing), then Google reason that your site is not relevant for that keyword and you start dropping in the rankings for that keyword. One way to reduce your bounce rates is to write interesting and engaging content with the aim of keeping your visitors on your site for longer periods of time. Does your company have a Twitter account? 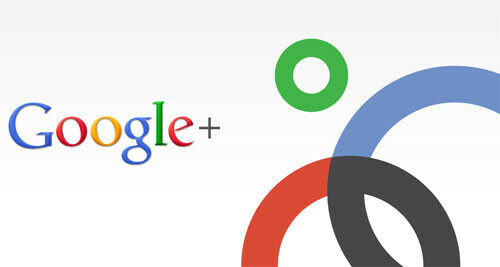 Facebook, or Google+? Never underestimate the power of social media when it comes to getting more work in. Twitter especially. Google also look at ‘Social signals’ when ranking a website, and sites which have links from all of the above will help to kick-start your website up the ranking. A small company should focus on the local markets primarily. You will never beat the big boys in terms of ranking. (eg, if you have a DIY store, you will never beat Wickes.co.uk in Google for ‘DIY store’ and so on). The trick is to go niche, or hyper local. ‘DIY store [locality]’ this works much better and is easily obtainable. Read our guidelines to be a Guest Author at TechGau.Org.